Fresh lobster rolls, colonial cottages, sea breezes at sunset: there is a certain magic about summer on the East Coast. Whether you prefer the beach or the country—or a mix of the two—the Northeast has it all for families, friends and couples alike. 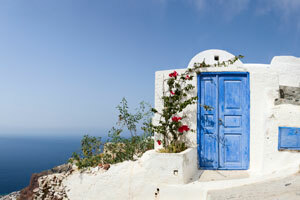 The following are a few of our favorite destinations for an easy long weekend getaway (or more). 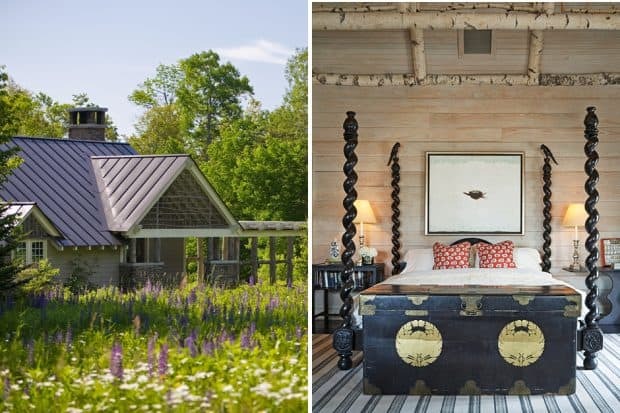 These stylish properties are all within driving distance of New York, Boston and points East, and they still have rooms available to book now. 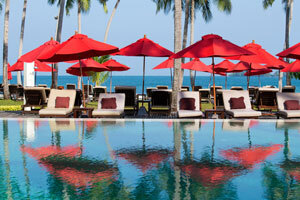 Contact Indagare for assistance planning a long weekend at these East Coast summer escapes. Our specialists can book you at the hotel that is right for you and plan great meals and activities. 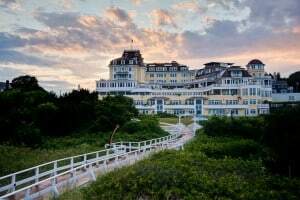 In its early days, this iconic resort, which opened in 1868, was the playground of monied aristocrats and members of the East Coast elite, who appreciated its prime location on the Atlantic, subdued glamour and discreet privacy. 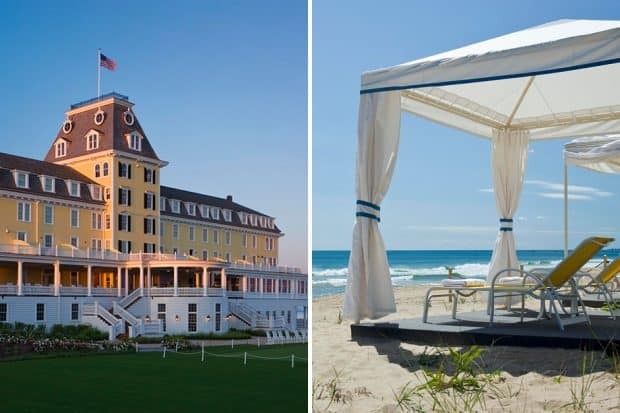 Parasols have given way to blue and yellow beach umbrellas, and the sand is now dotted with cabanas equipped with butler service, but the past is still present in the Victorian-style main building, despite the modern amenities that have been added to ensure a five-star experience. 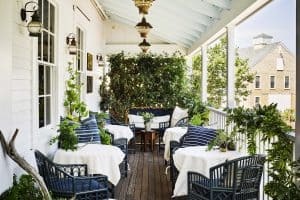 This summer, the property is hosting a range of events for all ages—including foraging and cooking classes, croquet and cocktails, movies on the beach and lobster boils and barbecues. Those looking for a cozy, luxurious seaside escape with classic New England charm will find it at Ocean House, looking out over the bluffs of Watch Hill. Read more and contact Indagare to book. This intimate 17-room hotel opened in the fall of 2016 and is now one of the best properties on Nantucket. 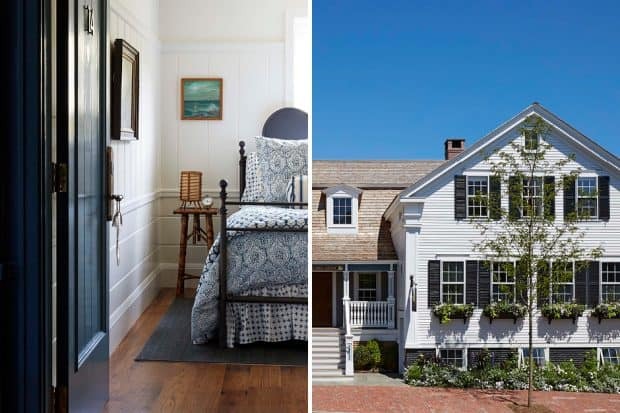 Housed in an 1850’s Greek Revival building whose renovation was entrusted to dynamic design team Roman and Williams, the downtown property celebrates Nantucket history while having its own high-end accents, such as hand-painted Portuguese tiles lining the showers, gorgeous lacquered accent walls, dark wood paneling, beachy linens and original art throughout. Other traditional yet playful touches include complimentary beach bags (packed with towels, beauty products and Bose speakers) and an excellent seasonal restaurant helmed by a Michelin-starred chef. Read more and contact Indagare to book. Located on 300 bucolic acres, this all-inclusive retreat is adults-only, except for two annual “family weeks”: one each in summer and winter. In addition to beautiful suites and cottages, the property boasts museum-quality art, including works by Jasper Johns and Roy Lichtenstein, plus a much-lauded (and healthy) culinary program. The kitchen’s focus on local and seasonal ingredients is unparalleled, producing such delicious dishes as porcini poached Vermont turkey with wild mushroom lentil ragout and cold poached Maine lobster with potatoes in truffle vinaigrette. Onsite activities include hiking, canoeing, croquet, tennis, fly-fishing and spa treatments. Indagare Tip: When you go out for a hike, request a picnic lunch, which the staff will prepare for you at the end of the trail. Read more and contact Indagare to book. 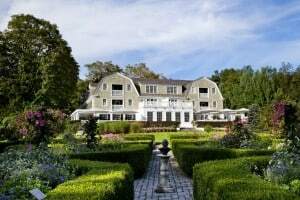 Located in Litchfield County (just a two-hour drive from New York City), this classic, 30-room hotel celebrates the surrounding landscape and New England heritage while encouraging its guests to truly relax and indulge themselves. Offerings include wine tastings, private meditation sessions, a full range of exercise classes and a 20,000-square-foot spa, plus, in summer months, a pool, tennis court and putting green. 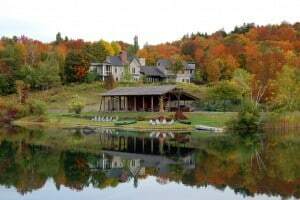 Guests can also hike the property’s 58 acres of landscaped gardens—on their own or accompanied by an expert naturalist—and picnic on a cliff overlooking Lake Waramaug. Read more and contact Indagare to book. Opulent but tasteful, Glenmere is a romantic retreat on the western side of the Hudson River with a spa and restaurant. 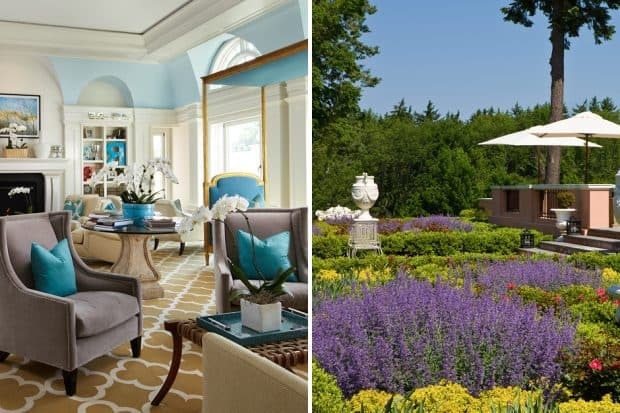 Built like an Italian villa, the grounds are distinguished by well-clipped garden paths and marble fountains, while the interiors have Gilded Age details such as moldings and grand fireplaces, plus custom Loro Piana curtains and plush beds for sleeping in. Guests who come on the weekends can explore the sprawling 150-acre grounds and take advantage of the resort’s pool, two Har-Tru tennis courts, championship croquet court and spa services. In addition to the formal Supper Room restaurant, guests should not miss dinner at Frog’s End, a tavern on property that was modeled after one of F. Scott Fitzgerald’s haunts on the Cote d’Azur. Read more and contact Indagare to book. 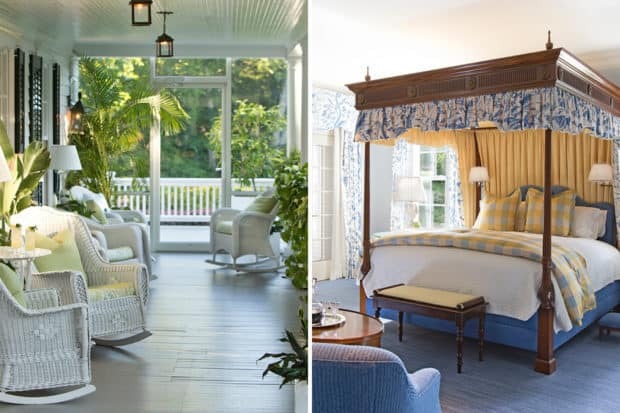 This 26-room historic inn is the ultimate low-key getaway and a charming place to stay while visiting the harbor village of Kennebunkport, known for its stately mansions and laid-back summer scene. 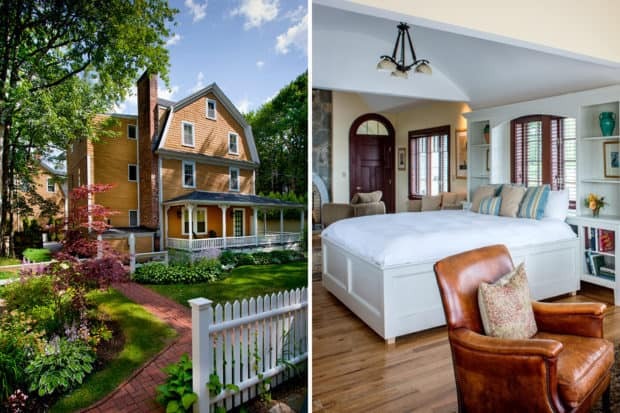 The property consists of several classic clapboard cottages, a converted carriage house and the main inn, which are linked by flower-lined walkways and gardens. Particularly lovely are the junior suites, which have gas-burning fireplaces and large bathrooms with soaking tubs. Possible activities during your stay include a sunrise picnic breakfast on the beach, a guided bike ride (anywhere from 20 to 80 miles) followed by a deep tissue massage, and private cooking and mixology classes. Read more and contact Indagare to book. 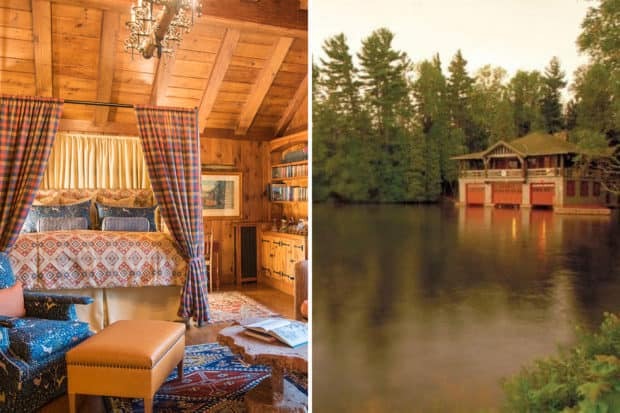 Located on a 75-acre peninsula on Upper Saranac Lake, this 11-room retreat (which once hosted the Rockefellers) is now a popular destination for well-heeled families looking for an authentic camp-style property with all the amenities of a luxury hotel and an elegant five-star atmosphere. Guests stay in the property’s original log cabins with rustic-chic décor. Although each of the 11 rooms possess their own unique charm, the most popular to book is the “Boathouse,” an airy space with a canopied bed that sits right on the water. In summer, the peak season, days are spent hiking, playing croquet or boating on the lake, followed by dinner in the elegant restaurant, which hosts twice-weekly black-tie events. Contact Indagare to book. Contact Indagare for assistance planning a long weekend at these East Coast summer escapes. Our specialists can book you at the hotel that is right for you and plan great meals and activities, as well as secure upgrades and amenities.